You can take any garden waste including soil to one of our Recycling Centres at Chelson Meadow or Weston Mill. All garden waste received at the recycling centres goes back to supporting local agriculture. You can take all green garden waste to one of these and if your garden waste is heavy or includes soil or other non-plant materials it will definitely need to be taken to one of the Recycling Centres. 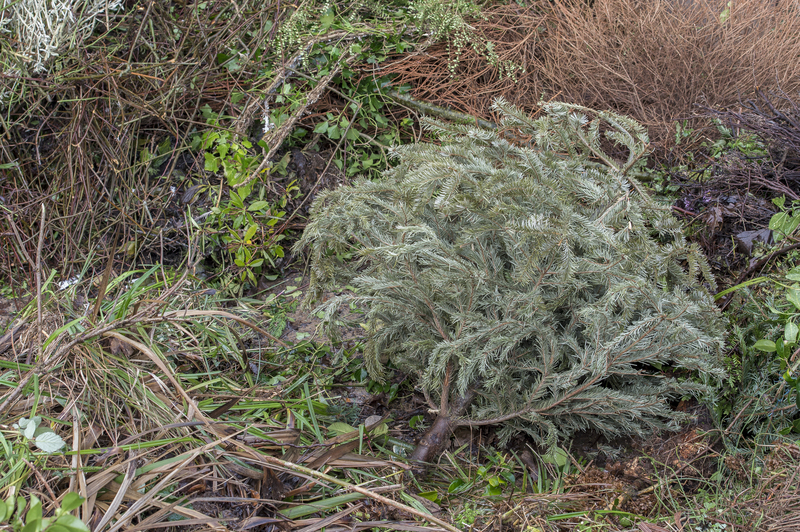 Between 1 April and 31 October we also operate a green garden waste collection scheme from your home. 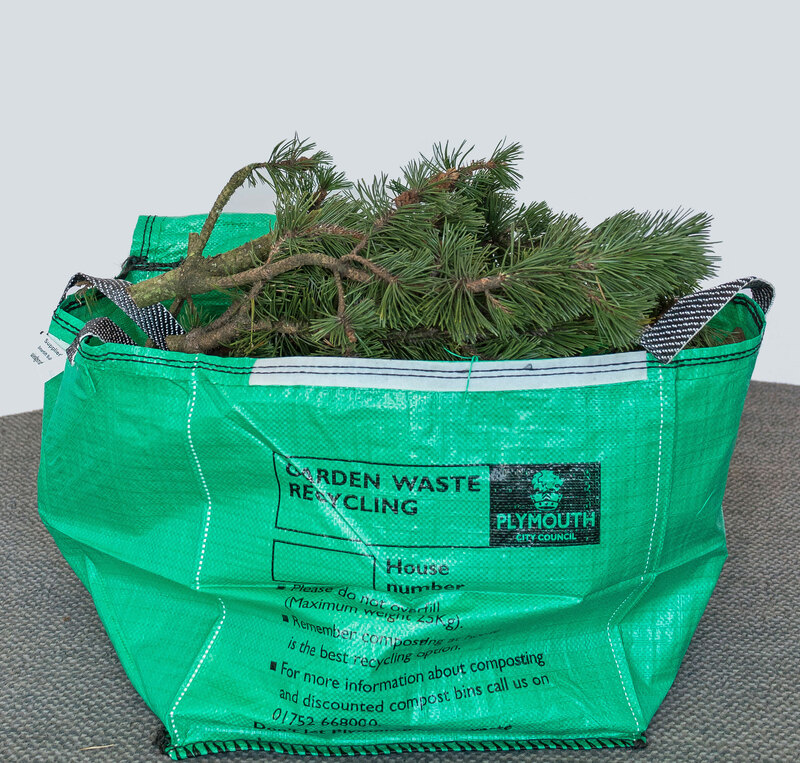 You can put your green garden waste in a Plymouth City Council branded green garden waste bag or household recycling bag (pictured above). Households are entitled to four garden waste bags. Please do not put more than four garden waste bags out because our crews will not be able to take more. If you do have more than four garden waste bags, we reserve the right to remove excess bags. The garden waste must be in a Plymouth City Council branded bag – we can not take garden waste in other containers. Please note that your garden waste bag must be a reasonable weight so that our crews can lift to chest height – if it is too heavy to do this we will not be able to take it. 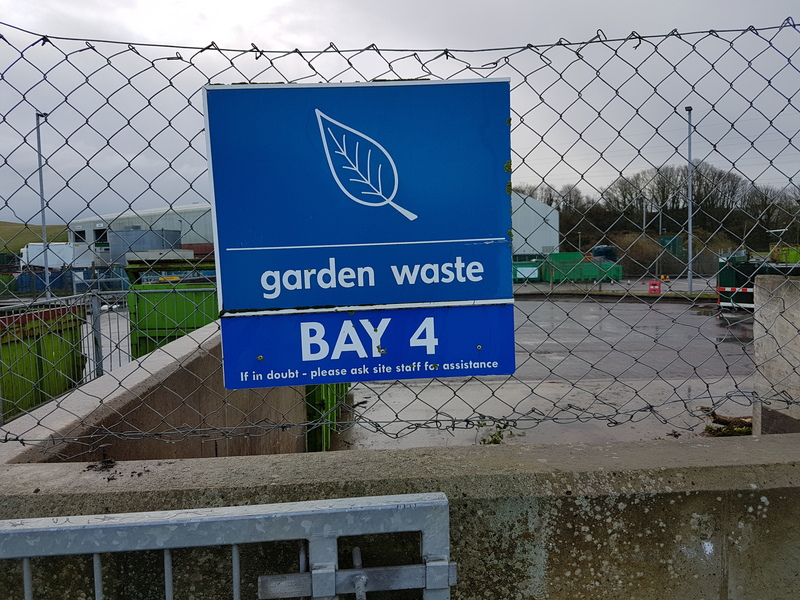 At all other times please compost your garden waste at home, or take it to your nearest household waste Recycling Centre - Chelson Meadow or Weston Mill. Make sure you check your garden waste collection day. You can do this using our Check Your Collection Day web page. We aim to collect on your garden waste collection day, but as gardening activity varies, this can increase demand which may cause delays but we will make sure we collect it within two working days. 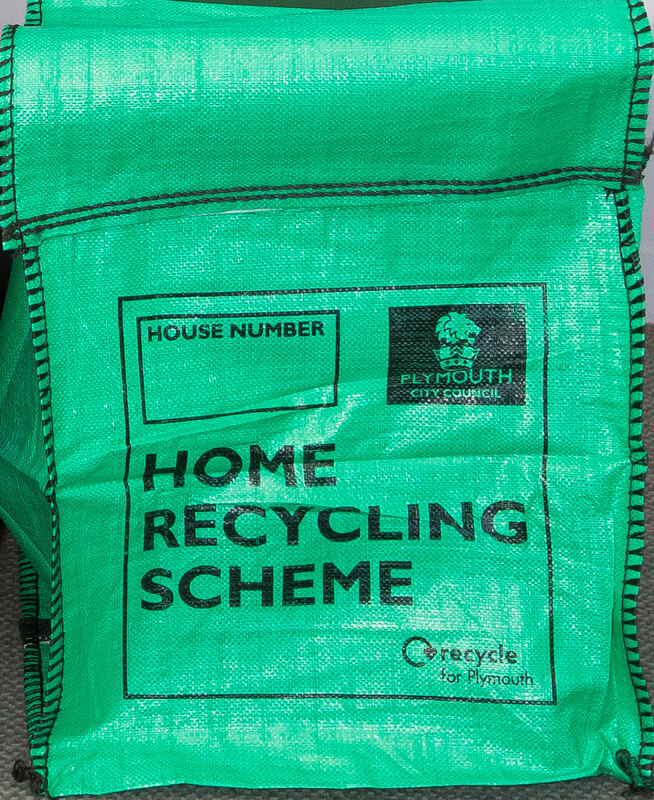 If you need to order bags please click here – you will be given a reference number and you will need to collect them from either 1st Stop in New George Street or the list of available Libraries - Crownhill, Plymstock, Plympton, West Park, Southway and Chelson Meadow Recycling Centre. Please only ask for what you need - the maximum number of four bags for the garden waste per household. If you live in Sherford, please present your garden waste at your communal bin location. Please ensure your bags are marked with your property address. Compost your garden waste at home and you'll have your own soil improver. Get advice from the Royal Horticultural Society, Garden Organic and the Waste Resources Action Programme (WRAP) websites.